What's New at the Taber Museum? Bottles & Brews II – A Hit! 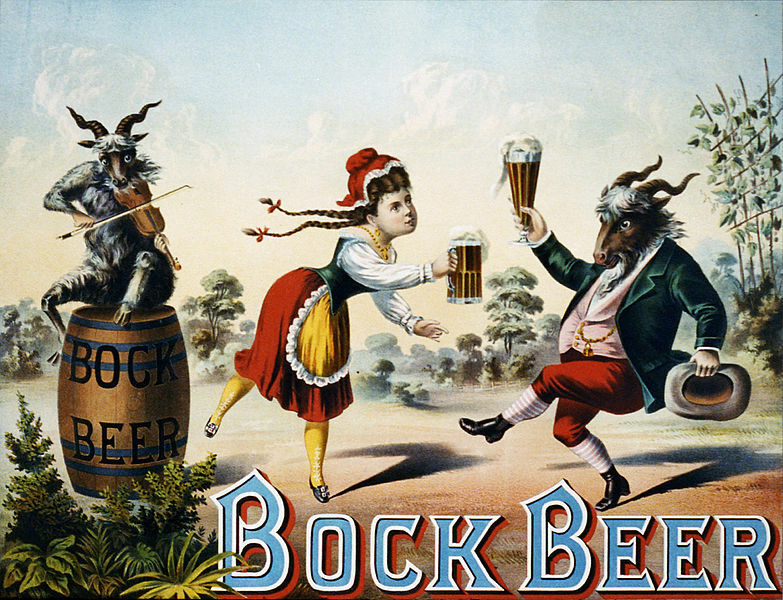 While we are sorry that it's over, Bottles & Brews II was a wonderful success for the museum! We'd like to thank everyone who attended and participated in this event! We hope you enjoyed it as much as we did! Did you stop by and visit us while at the Lycoming County Fair? Well, at least one hundred eighty six people did! They all took a guess at what the mystery artifact was… and several got it right! 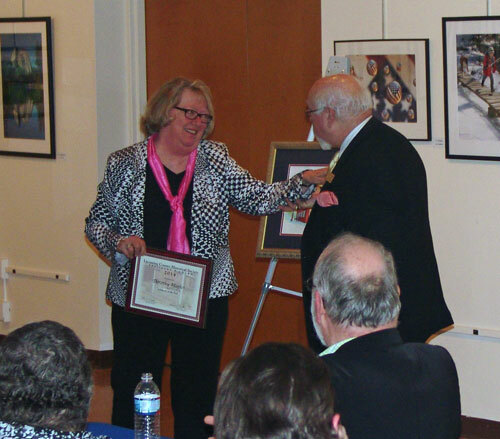 The Lycoming County Historical Society honored several members during its recent Annual Membership Meeting held in the Community Room at the Taber Museum. 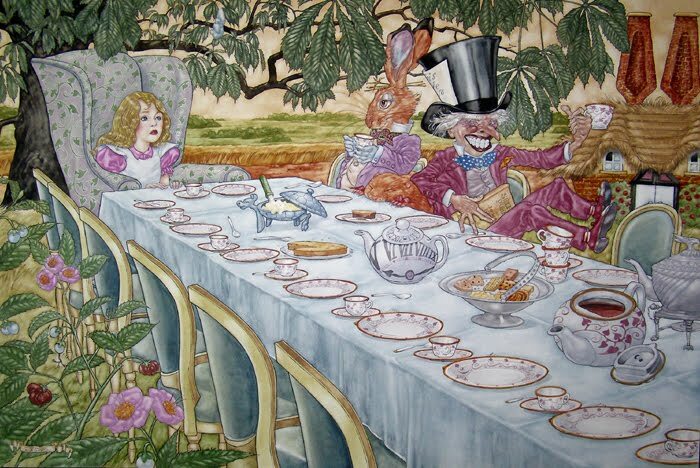 The Taber Museum held a MAD HATTER’S TEA PARTY Saturday, April 12, 2014 at 2 pm. The event celebrated a display of costumes from the permanent collections of the Historical Society. 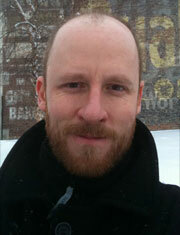 LCHS members Steve and Martha Huddy (as the Vallamont Studio) have produced the documentary film, Surrender! 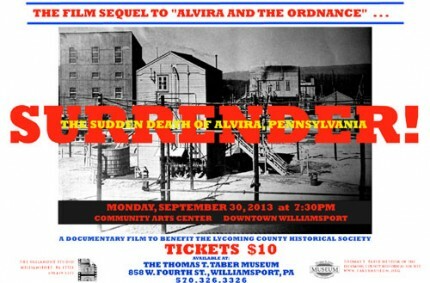 The Sudden Death of Alvira, Pennsylvania as a sequel to the local history book, Alvira and the Ordnance: An American Dream…Denied. ‘Bottles and Brews’ was a stellar event at the Taber. 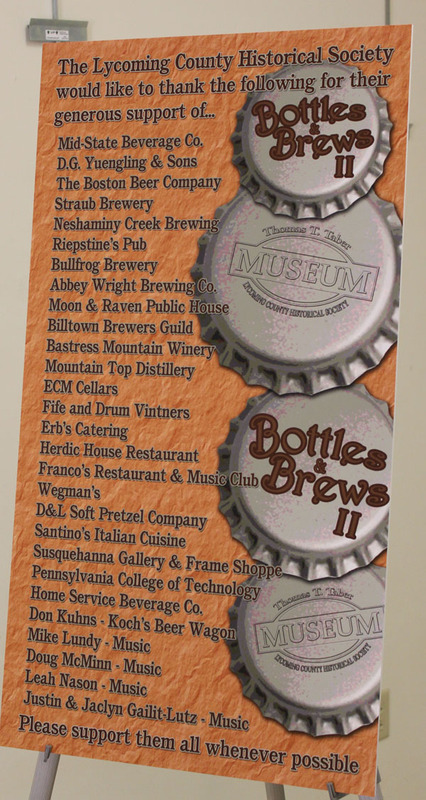 Held on Friday, August 9, the museum witnessed over two hundred fifty people who sampled the efforts of local home brewers and vintners. We recently had a table at the 2013 Lycoming County Fair. 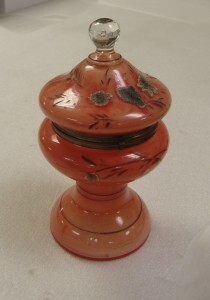 To increase traffic around our table, we invited visitors to guess what the depicted artifact might be. 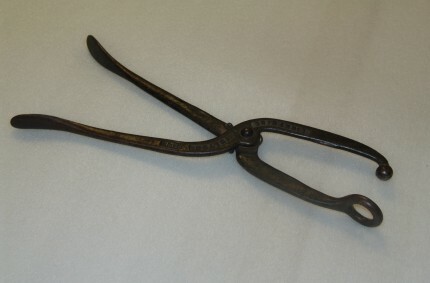 Tyler Hinston correctly identified this object as an apparatus to stretch shoes to accommodate a painful bunion on your foot. It was created by the Enterprise Company, and patented in 1897! Dr. Ryan T. Adams lectured on the topic “Food in Lycoming County: Prehistoric, Historic and Economic Context of Food Production,” at the Thomas T. Taber Museum of the Lycoming County Historical Society. 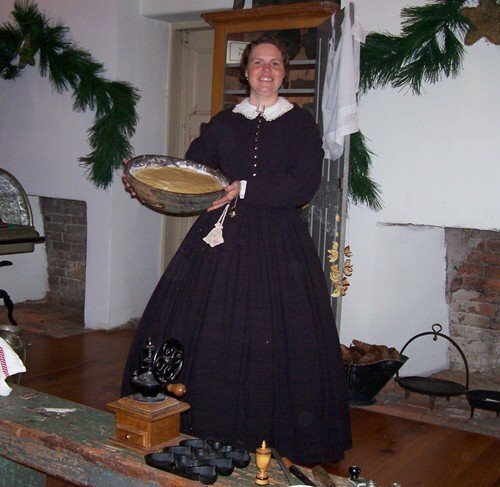 The Taber Museum’s first Coffee Hour for the 2013 season was Heather Hibbs, who addressed the tasks vital to the well-being of a nineteenth century family- that of cooking, baking, and canning. 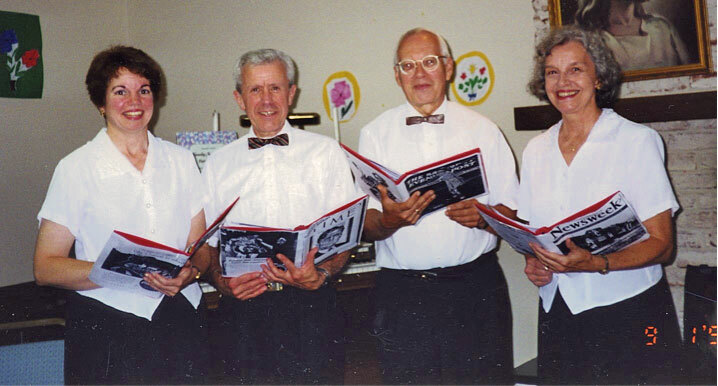 On Sunday afternoon, October 21, 2012, a program of Stephen Foster (1826-1864) songs was presented by the Buffalo Valley Singers Quartet. The October 11, 2012 Coffee Hour of the Taber Museum featured Wayne Sager speaking on “The Old 11th”. The Taber Museum was recently awarded a grant from the Williamsport Lycoming Community Fund at the First Community Foundation Partnership of Pennsylvania to support the installation of a fire suppression system throughout the museum. ​Huzzah! 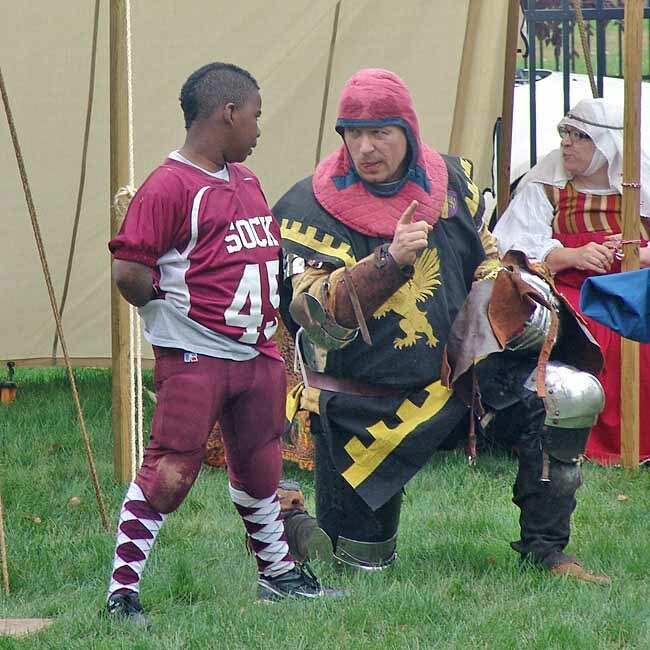 Experience the sights, sounds and heritage of the West Branch Valley at the Lycoming County Historical Society’s YesterFest! 2012. This fund-raising festival took place on the grounds of the Taber Museum, on Saturday, September 29. 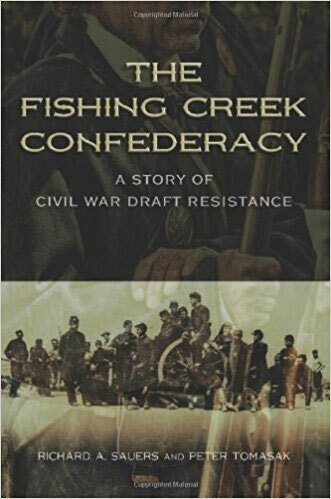 The Taber Museum hosted its Society Program on Sunday, September 16, featuring Peter Tomasak, co-author of the book The Fishing Creek Confederacy: A Story of Civil War Draft Resistance. The book was released in October. 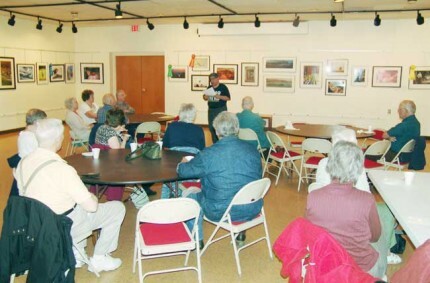 The Taber Museum hosted Bob Kane, Jr., on Thursday, September 13 who spoke on nineteenth century bottles from Williamsport and surrounding areas. 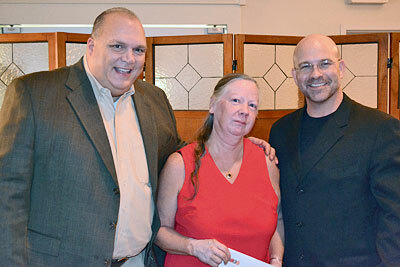 The Taber Museum was pleased to present Ann Diseroad on Sunday, August 19,2012. 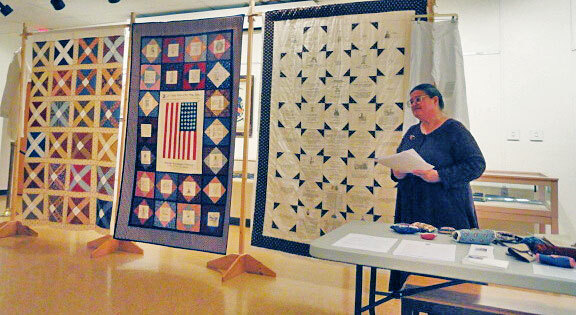 She spoke on Ladies’ Aid Societies of the Civil War Era and their efforts to raise money through the production of quilts and other textiles. 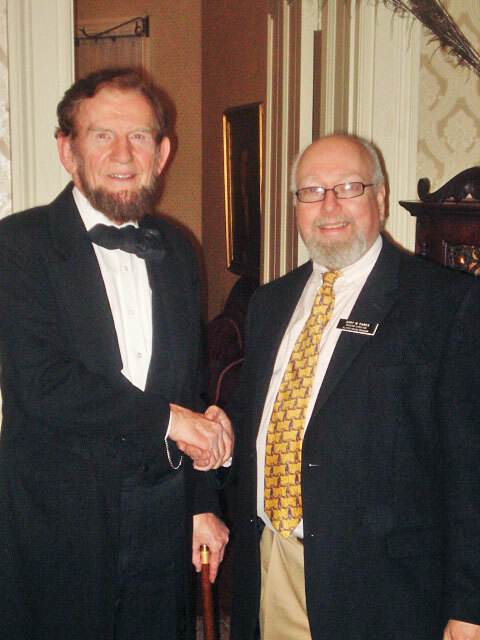 The Taber Museum was honored with a visit by the President — President Abraham Lincoln, that is, on Saturday, July 21, 2012. 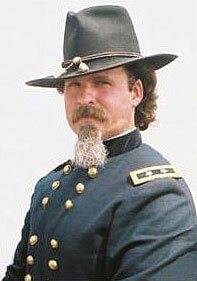 The Taber Museum hosted its Society Program on Sunday, July 15, 2012 featuring John Lee, who portrayed Civil War Chaplain McCormick, of the Pennsylvania Bucktails. 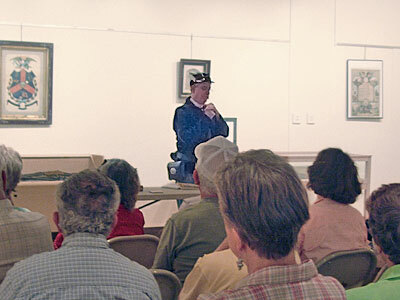 The Taber Museum hosted its fourth Coffee Hour program on Thursday, June 14 with guest speaker John Deppen recounting the life of Major General Winfield Scott Hancock. Guest speaker Lou Hunsinger, Jr., writer and journalist, presented his lecture on “Lycoming County During the Great Rebellion”.